As part of the initiatives to contribute to revamp the Nigerian economy, Nigerians under the auspices of Nigerians in Diaspora Organization in Europe (NIDOE), Russian Chapter, in collaboration with Russia-Nigeria Business Council, Institute of African Studies and Russian institutions, ministries and agencies have adopted corporate strategies in identifying and wooing potential Russian businesses and industry directors to invest in Nigeria. In this special interview, Rex Essenowo, Chairman of NIDOE-Russia, talks about current opportunities and perspectives of the business partnership and the huge potential that exists for mutual-economic cooperation between Russia and Nigeria. He believes strongly that NIDOE-Russia and the Russia-Nigeria Business Council will help greatly to further develop the mutual business cooperation both in the private and public sectors between the two countries. All these, the Chairman discussed in an interview recently with Kester Kenn Klomegah, Regional Editor-in-Chief for Russia & Eurasia region at Buziness Africa Media Group. Buziness Africa: The Russian chapter of Nigerians in Diaspora Organization in Europe (NIDOE), in collaboration with the Institute of African Studies, for the first time, in April organized an academic-business workshop in Moscow. What are the key questions that were discussed and decisions taken? Rex Essenowo: The key issues and questions raised were focused on trade and investment possibilities in Nigeria. What has been done and what has not been done in order to boost economic development in Nigeria, and how the relationship has benefited both countries. A very important issue is the post-election investment climate. Nigeria is always considered as one of the most attractive investment destinations in the world before the 2015 general elections, so we have to keep that environment stable in order to boost the country’s relationship with Russia. The first part is based on historical records and scientific research on the economic relationship between the two countries while the second part is to bring out measures that we need to take in order to eradicate barriers and boost economic development in Nigeria. At the round-table, we made concrete assessment of what we have achieved since Nigeria’s independence and the establishment of diplomatic relations with Soviet Union till the present day Russia. We also looked at our resources, including manpower, and how best we can utilize them in order to achieve concrete solutions. BA: Previously, as far back as 2009, NIDOE held a working business session with the Russian Chamber of Commerce and Industry. To what extent have the decisions and results from the business forum been implemented? Essenowo: Oh yes, that was our first experience with the Russian Chamber of Commerce and Industry. Both the Chamber of Commerce and Russia - Nigeria Business Council were very supportive to make that event very successful. Since then, we have maintained close and regular contact most especially with the Business Council. On implementation of the resolutions, we could not achieve 100% results, that is the reason why we keep pushing forward to make some considerable changes. Most of the issues are still based on logistics, we have been able to identify other setbacks and challenges which depend much on the part of the governments of Russia and Nigeria. As already known, we are only doing our best to supplement government efforts at boosting economic development, which in turn can benefit the population. BA: How is your Russian Chapter contributing towards the Diaspora Investment Fund (DIF)? And what are your views about NIDOE’s appointment of SME secretariat as its trade and investment mission partner in Nigeria, Africa and abroad? Essenowo: NIDOE-Russia has been very active in the development of the Diaspora Investment Fund. NIDOE-Russia is a key player in NIDO in Europe (NIDOE), we have always been well represented in the Board of Trustees, right now, with our chapter having the position of vice-chairman in the Board of Trustees, we have regular joint meetings and communication with the BOT and the conference of chair persons in the whole of Europe. We still need more public and private sector partnership and the banks to join us in order to implement the DIF process which was established by the previous administration, unfortunately the activities have slowed down due to global economic crises that has been looming for the past few years. The liquidity constraint in the banking sector has also affected most of our partners, but we have been able to lunch some key projects, and we hope to effectively bring them to logical conclusions. 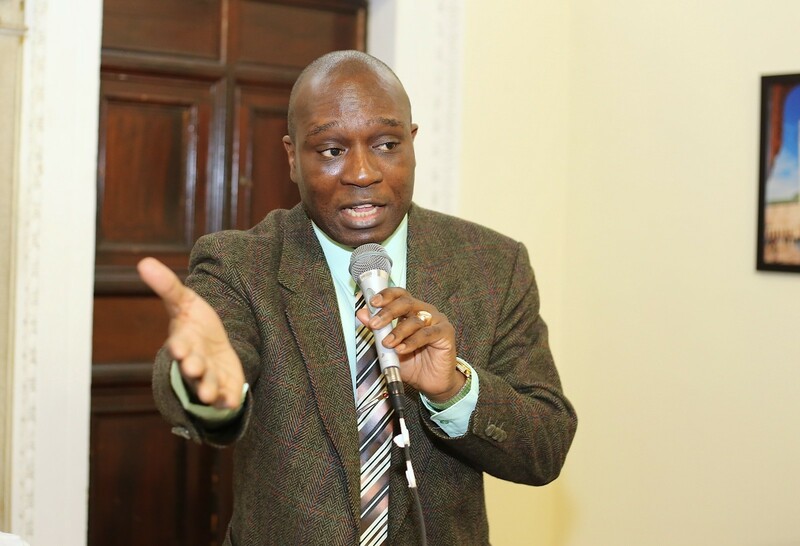 In 2014, a housing program "ASO mortgage saving scheme" was lunched at the Nigerian High Commission in London. It is expected to provide cheap loans for Nigerians in the Diaspora. Although the fall in oil prices and the currency devaluation in Nigeria have affected the program, we are still working hard with our partners to find lasting solutions. 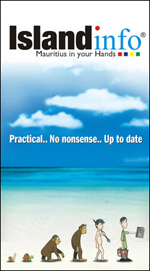 Very soon the details will be available on our websites. Interestingly, just a month ago, the BOT and partners in Kano State started a new educational project called "No child is left behind" for school children, it is aimed at eradicating the problems children are facing in most rural areas, or reduce the gap caused by lack of infrastructure, so with the help of solar energy and information technology, children in rural areas will be able to obtain vital educational materials in remote areas, all in the solar charged school bags, a great experience for kids. 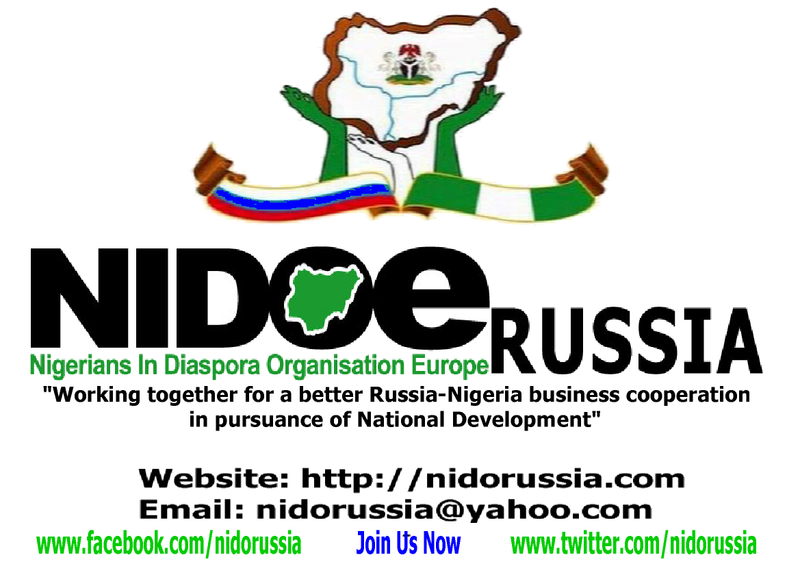 Right now, NIDOE-Russia is seeking partners, both in the government and the private sectors, in Nigeria. In the same vein, we have expanded our networking efforts in Russia. We have recently appointed regional coordinators who will intensify efforts in working with the Russian SME as well as investors willing to work in the biggest and most dynamic African market, - Nigeria. BA: Interesting to ask you about how the Russia-Nigeria Business Council, since its establishment, has help to further develop the mutual cooperation both in the private and public sectors between the two countries? Essenowo: The Russia-Nigeria Business Council was established with the help of Presidents Putin and Obasanjo almost a decade ago, unfortunately we are still expecting a revolution through that platform. As I said earlier, the Russian side has been helpful and supporting NIDOE Russia's activities. They have participated in many negotiations between Russia and Nigeria in different areas, but much is yet to be done. At the recent NIDOE Russia workshop that took place in April, the Chairman and CEO of the Business Council, Mr. Valeriy Vozdvizhenskiy, expressed optimism about the new Nigerian administration of General Buhari. There is a lot to do, for example, starting from implementing the numerous MoUs that were signed by the previous administration. Personally, I will suggest a quick review of those key areas that can impact positively on the lives of Nigerians and on the economy of Nigeria. One important aspect is providing sufficient and required information about Nigeria for the Russian business and investors’ community as well as widening the scope cooperation in different sectors of the economy. NIDOE Russia wants to see different directions in the Russia-Nigerian economic cooperation. We are really tired of wasting potentials and the rate of poverty our country, despite our enormous amount of resources. BA: In your view, what kind of roles your leaders have to play in your country? Essenowo: You see, we are not political organization, and our main interest is economic development. It is very important to have visionary and intelligent leaders at the helm of affairs who are passionate to the welfare of citizens. Russia and Nigeria should not only be regional leaders or key players in world market of oil and gas, but they must become real strategic partners in economic cooperation and development. We have the market, we have the resources, and we have our common interests, so what is the problem? Our leaders must think wisely. Not everything should be focus on politics. There are vital issues already on the table. Unreservedly, I would like to use this opportunity to call on the newly elected Nigerian State governors, Federal/ State ministries and agencies, to look into key investment and developmental areas which need foreign assistance. There are a lot of excellent and affordable Russian technologies badly needed in Nigeria. 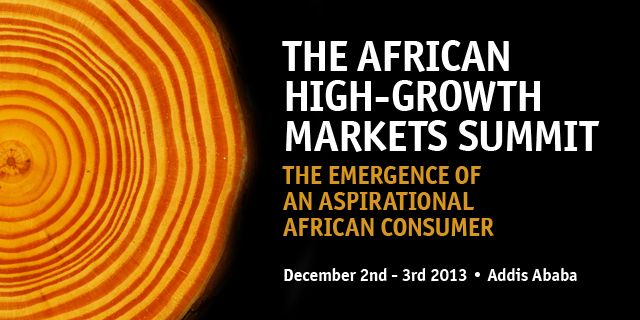 We have one of the fastest growing population in the world and the consuming power is unimaginably high. I believe that Nigeria’s economy is already more than a trillion dollar economy, though most part is hidden in shadow right now. President Buhari promised that we are beginning to do things differently, and straight to solve the problems of the masses. In my objective view, we have more reasons to strike off our social ills by developing faster our technological and infrastructural foundation; we must be very sound and up to date, in order to be able to compete with rest of the world. In fact, it is time to avoid paper declarations, we have to act swiftly, to build up our infrastructure that will enable us to fasten the process of industrialization. It is very important to eradicate poverty, unemployment because it engages the youth and many more, taking away the vices in our society. BA: In what ways and how the Russian Chapter of NIDOE plans do in order to compliment the efforts of the Russia-Nigeria Business Council? Looking at the stable political developments back home, what new business initiatives do you have toward driving Russian businesses to Nigeria? Essenowo: That is a very good question. We are very happy that the 2015 general elections in Nigeria are over now and there is stability and growing enthusiasm in the country. One of the resolutions of our April workshop was to widen our functional capacity in reaching out to the Russian business community and investors. To this effect, we are creating expert committee within NIDOE Russia in collaboration with the Business Council, Nigerian Embassy and the Institute of African studies. More members will be drawn in from leaders of numerous SME in Russia, organizations and potential investors interested in doing business in Nigeria. We have almost concluded consultations and agreed on the appointment of four Nigerian regional experts to coordinate our work with the SME and regional governments. Russia and Nigeria have similar economic models from which both countries can mutually benefit if the legal frameworks are in place and activities well coordinated. All these developments will accelerate our strategies and as well provide us with the ability to react quickly towards market demand or government interest in the fast growing Nigeria's economy. BA: The theme “Working Together for a Better Nigeria-Russia Business Cooperation: Opportunities and Perspectives” seems to have run through all organization’s activities. What does this theme mean to you as the current Chairman of Russian Chapter of NIDOE? Essenowo: For me, it means a lot. I can say that it's very simple. It's about bilateral relationship that brings benefits to the grassroots, I mean to every citizen. Nigerian governments, since the return to democratic government in 1999, have been talking about citizenry diplomacy with it's values. But the question is, what do we have in place, and what are the expectations? We are talking about simple logic in actions that can remove all complexities in vital issues which have been rendered handicapped for ages. If there is the will power plus the resources combined, things can be much easier and better for our people. There are many indicators to measure our success and failures in the past, and if you look at the volume of trade and investment between Russia and Nigeria, you don't need my conclusion. But to be on a positive note, let me say, we need rapid improvement, in building management and technical skills, healthcare, energy or power generation, space technology, just name them. These are all areas with huge potentials to make Russia-Nigeria economic cooperation vibrant and interwoven. These are some of the perspectives that we want to see. There are millions of the educated youth and graduates unemployed, while many Russian companies need external markets and new cooperation for their technologies. the technologies are quite affordable, and to some extent, Nigeria and Africa can obtain long term preferential treatment for export products. Look at areas, like obtaining equipment or technologies for large scale farming and food production, also transportation and storage, for instance. What about mining or geological survey and modern space technology? What about development of tourism or housing and construction? It baffles me a lot, Russia and Nigeria have over 350 million combined population but cannot duly extend the arms of cooperation beyond paper declarations. BA: That sounds psychologically poor. Essenowo: Oh yes, not only psychologically but physically, and it harms the relationship. There are thousands of Nigerians who were trained in the Soviet Union and in Russia now, we have to use them as bridges. For example, I would love to see a Nigerian Ambassador who speaks Russian language. Now, Russian-speaking African ambassadors from Benin, Chad, Ghana, Ethiopia, Kenya, Rwanda, Sierra Leone, Madagascar and Zambia have been appointed to the Russian Federation. 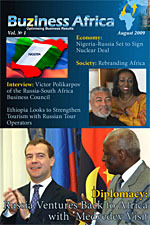 Besides, there are Russian-speaking diplomats that make for a new face of Russia-African diplomacy. Psychologically, it is one thing when you know directly what the Russians are saying and another thing when an interpreter tells you, sometimes with inaccurate interpretations. You will never see a Russian envoy in Nigeria or any other English speaking country, who does not understand English. The same thing is applicable to envoys in the Francophone countries. Over there in Nigeria, look at China, America, United Kingdom, Japan, India, Malaysia, the Scandinavians, the Middle East, Latin Americans and many other countries with growing active interest in Nigeria. Russia is a big market for tropical fruits, textile and many other things we have in Nigeria. All these can create millions of jobs for young Nigerians and Russians if properly funded or given the necessary incentives. I will also love to see Russian trained Nigerians specialists going into joint ventures with Russian companies in Nigeria. Some can become representatives of Russian companies in Nigeria. We must do everything possible to correct our weakness and bad situations because there are thousands of Russian companies that can work better in Nigeria if they employ Nigerian specialists. And that is another opportunity to create millions of jobs for our teaming youth. Nigerians will benefit and the Russian companies will also benefit like their Western counterparts. That is the reason; we are doing everything possible to complement government efforts so as to bring more positive development to our people. As the saying goes, "Two heads are better than one" and we have more than million heads that we can find quick and suitable solutions for our country-wide economic and social problems.